What is Game for Humanity? This concept was derived with the intention of having fun whilst spreading a positive outlook and mentality between human beings in general irrespective of age, race, gender, religion etc. Given the current status of world affairs, we are constantly reminded of the negative happenings and occurrences which surround us on a daily basis. News reports are inundated with negativity, crime, violence and shortfalls. This is unfortunately what humans have grown accustomed to hearing and expecting. Now imagine, a game which is a simple as leaving a piece of paper on a table. 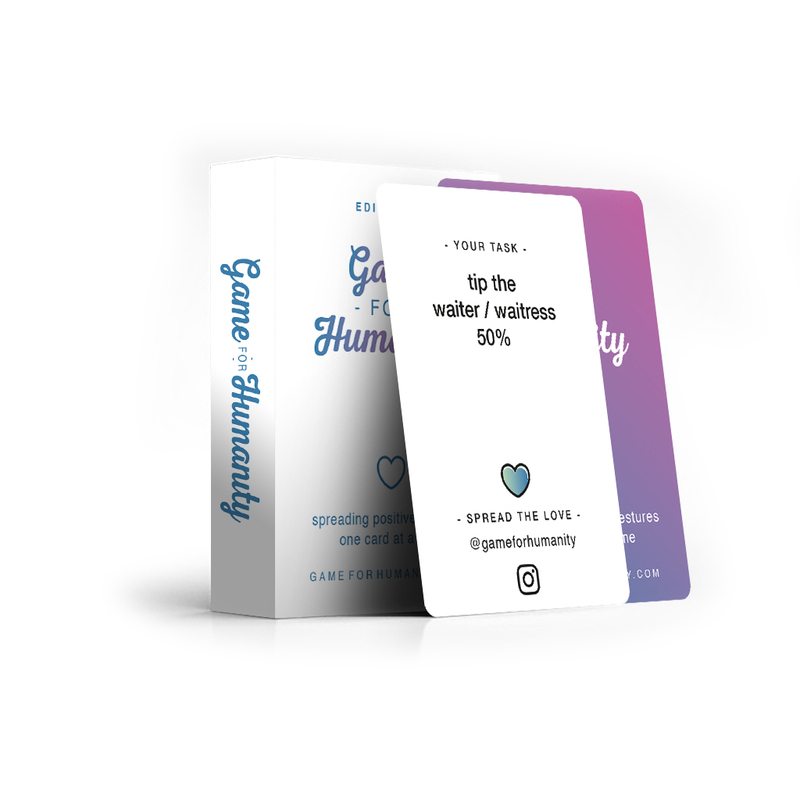 Imagine a fun, lighthearted global game which anyone could play and would only tug on positive, happy and natural emotions we as human beings want to share with each other. Imagine you, your child or even co-worker intentionally making the world a better place by partaking in a game of whereby the primary intention was to make someone else smile and happy.